SOAR Management Consulting Group specializes in working with small and midsize nonprofits and public agencies from many different sectors that are facing challenges associated with organizational growth and change. 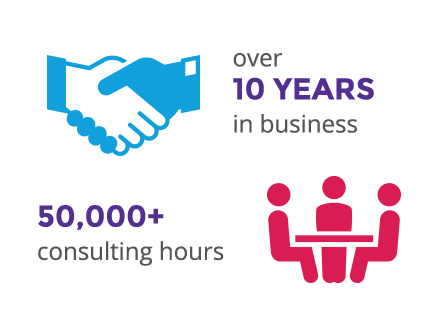 SOAR offers a broad range of types of consultation including strategic planning and program expansion. SOAR Management Consulting Group teams and their clients work together to determine the scope of the consultation, address critical needs identified by the organization, and collaborate throughout the course of a consulting project. Working with SOAR, your organization will benefit from the business leadership skills that our consultants have gained working in a broad range of industries and disciplines. Your dedicated SOAR project team will provide fresh ideas and insight to strengthen your strategic goals, and the momentum to move them forward in a timely manner. We can provide the framework and support necessary to help your organization follow through on consulting recommendations. Our services typically are provided pro bono. SOAR consultants have significant executive/professional level experience and a broad range of knowledge and expertise including finance, operations, marketing, and business development. Our collaborative, results-oriented approach empowers SOAR clients to achieve substantial impact in their communities. Clients who are selected will have the leadership and organizational capacity to effectively participate in the project and carry out recommendations for change. To find out more, please contact us or fill out a Request for Services form.